I Think He’s the One I Want to Marry! Cindy spent countless hours dreaming about her “knight in shining armor.” Then, one day, Kevin showed up in her life. He was tall, handsome, and had an amazing smile. Cindy just knew he was the one she wanted to marry some day. Frantically, she picked up her phone and called him. A brief discussion ensued and then Cindy, devastated, hung up. Kevin told her he was not ready for a child and said to get it “taken care of.” Weeks later, she followed his request and had an abortion. After the abortion, Cindy thought everything about their relationship would stay the same. She was wrong. There was something different about the way Kevin acted around her, almost distant, that caused Cindy to get nervous. Then, after a few weeks, Kevin seemed to be avoiding her. When he did eventually talk to her, it was very brief and it ended in an explosive argument. Kevin got mad and left while Cindy sat there crying. Their relationship was broken and seemed over. Cindy sat there with more questions than she had answers for. There can be many factors that attribute to the eventual decline of a relationship including differences in opinion leading up to the abortion decision, feelings of abandonment/lack of support during or after the abortion, and development of post abortion stress symptoms. It can be common that one person supported the abortion decision while the other one wanted to parent or place the child up for adoption. Additionally, one partner can feel like the other person was not supportive during the pregnancy and abortion experience. These differing viewpoints can create incredible conflict in a relationship. Lastly, post abortion stress symptoms, like guilt, shame, and grief, can cause one partner to pull away from the other. What can be done to help restore a broken relationship? 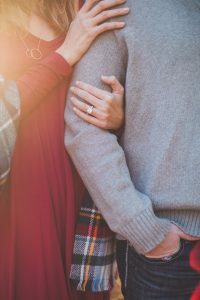 Here are some suggestions for getting help in a relationship that has been affected by abortion. Find a time to talk when both of you are calm and ready. Allow each person to talk without being interrupted for an allotted period of time. Be honest and open about your feelings. Don’t assume the other person knows what you are experiencing. It can help to explain to your partner what he/she can do to be supportive. Discuss with each other what you value in your relationship and ways to improve it. Consider seeing a marriage therapist or a counselor who can help with communication issues. Where Can I Find Help After Abortion? Navigating the painful reminders of one or more abortions by oneself can be confusing and lonely. The Restore After Abortion Program can come alongside of you and assist you in processing through all of those emotions to find healing in your life and of others around you. We are here because we care. Please call or text 630-599-0043 today to find out more information about our post abortion support services.